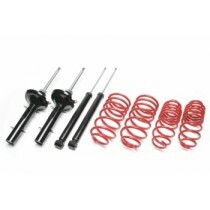 This TA Technix sport suspension kit is for the Honda Prelude type AB/BA2 from 1982-1987. This TA Technix sport suspension kit is for the Honda Prelude type BA4 from 1987-1992. This TA Technix sport suspension kit is for the Honda Prelude type BA8 from 1992-1996.